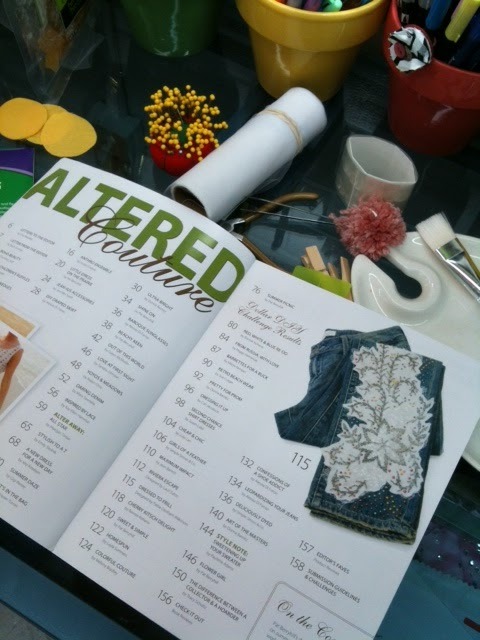 Altered Couture Magazine is one of my favorite publications because it shows how to turn ordinary clothing into NEW fashions. Not only is it smart on the budget, but it's FUN to see what you can do with thrift store finds or something from last year that you no longer care to wear. 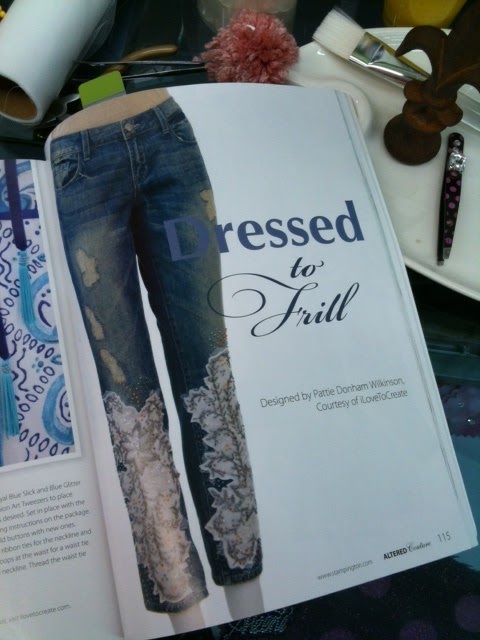 How cool, to open it up and find that they used my design in the contents pages, thanks to Managing Editor, Beth Livesay. And yes, I'm doing the Happpppy Dance! As Lead Designer for iLoveToCreate, it's always fabulous to use new products, and I'm in love with our new Tulip Beads In A Bottle, because it worked beautifully with my design, and was so easy! 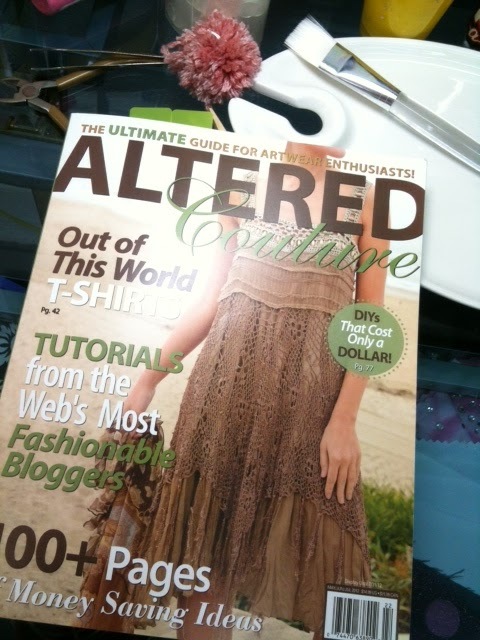 As you'll see when you pick up your magazine, the step-outs are great. 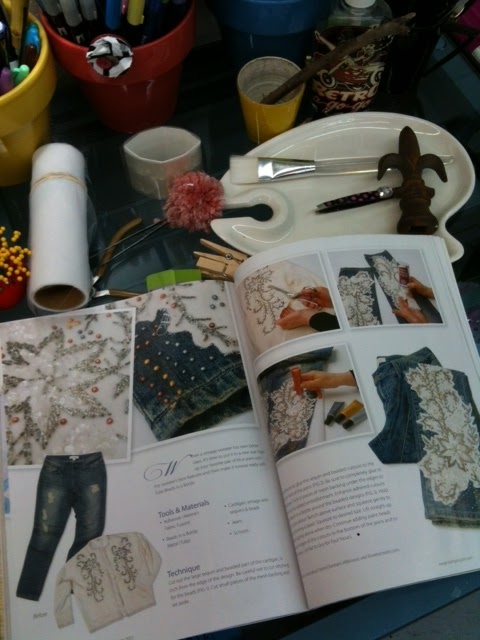 Check out the moth-eaten vintage sweater I found at the thrift store and cut up into gorgeous appliques that I glued onto some of my old jeans with Aleene's Fabric Fusion, then embellished with hundreds of faux beads with Tulip Beads In A Bottle.